At the heart of the Transdox 3100E is an electrochemical oxygen sensor, which has a five year life expectancy and can be used in a wide range of gases such as nitrogen, argon, helium, carbon dioxide. The sensor is not affected by the presence of hydrocarbons and is resistant to attack from acid gases. At the heart of the Transdox 3100EO is an ozone sensor capable of detecting ozone down to < 20ppb O3 in the range 0-2ppm and comes with a two year performance warranty. The analyzer contains a powerful Nitto motor-driven diaphragm vacuum pump which draws a gas sample at a rate that can be set by the user. 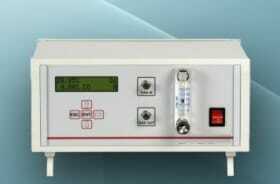 The flow of gas can be adjusted using the flow gauge/needle valve on the front panel of the analyzer. Typical flow rate is 1 liter per minute. An internal pressure sensor compensates for small changes in gas pressure to maintain the accuracy of sensor readings. The dew-point sensors are high precision transmitters that are fully factory calibrated and is supplied with its own Calibration Certificate, providing direct traceability to both UK (NPL) and US (NIST) Humidity Standards The sensor is certified at thirteen dew-point levels across its operating range against a certified reference hygrometer, using a mass flow humidity generator system as a source of reference calibration gas. The CO2 and CO sensors are based on infra-red cell technology which gives extremely stable and accurate readings over a period of many years. The cells have a life-expectancy in excess of ten years and are supplied fully calibrated. The analyser is packed with features including fully programmable alarm circuits (voltage-free contacts), programmable analogue outputs (0-5V and 4-20mA), easy calibration (user selectable gases), RS232 (optionally RS485) communications and a full set of communications/data-logging software that is MS Excel compatible. 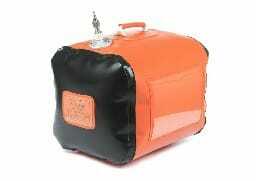 Optional swing handle, Peli-style carry case, printer, gas filters and a gas recovery bag are available. 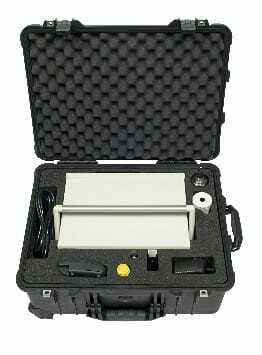 Easy to calibrate by the user using user selectable gases. RS232 / RS485, 0-5V and 4-20mA current loop outputs (both user programmable).